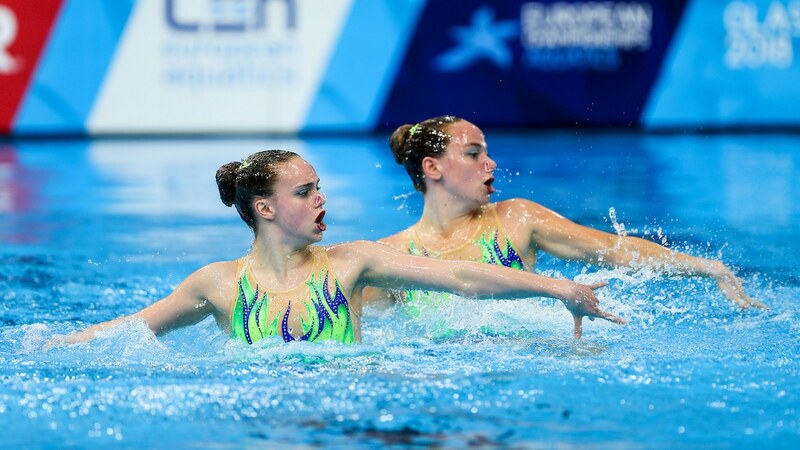 Great Britain’s Olympic synchronised swimming hopefuls Kate Shortman and Isabelle Thorpe have been given another boost in their bid to qualify for the Tokyo 2020 Games. The duet team of Shortman and Thorpe have been awarded more than £17,000 by the IOC’s Olympic Solidarity Programme which has funded training from an international expert and mentoring for their current coach. They have already received two training sessions from Ana Montero, the performance director for Artistic Swimming in Spain, working on improving technical ability and execution for their new routine. And they have enjoyed an intensive week of 40 hours training in Madrid having been invited by Montero to the Spanish capital. Montero competed in the 2004 Olympic Games and was part of the Spanish team that finished fourth in the team event. She has also won a World Championship silver medal and three European Championship medals before being appointed Spanish Synchronised Swimming Performance Director in 2013. Karen Thorpe, synchronised swimming manager for Swim England, said: “We’re delighted to receive this funding from the Olympic Solidarity Project. “It’s helped the duet to receive valuable guidance from Ana and we’re extremely grateful to her for the time and commitment she has given Kate and Isabelle. Shortman and Thorpe have one further session planned with Montero later in the year and she will also be giving feedback on their performances at the major events. The duet, who helped to launch the Artistic Swimming South West project in Bristol, will be competing in the fourth leg of the FINA Artistic Swimming World Series in Tokyo, Japan, between 27-29 April. They will be hoping to build on the success of their performances in the first leg of the event, in Paris, when they set a new personal best in the technical duet and were also part of the team that won a silver medal in the free combination final. Shortman and Thorpe were two of nine athletes to receive funding from the Olympic Solidarity Programme which aims to assist elite athletes in their preparation and qualification for Tokyo 2020. Working closely with the national governing bodies, the British Olympic Association selected athletes who felt the grants would prove to be most beneficial to their day-to-day training.